Who couldn’t benefit from being less stressed? Now I wish I could tell you there is a miracle food that will get rid of stress all together. Unfortunately, no such food exists, but there are ways to lessen the stress in your life, many of which deal with becoming better organized. Growing up, one of the most stressful times of the day for my mom was deciding what to make for dinner. Even now in college, deciding what to eat can be a headache. Whether it’s having no idea what to make that is both healthy and wont take too long, or knowing what I want but don’t have the money to buy a bunch of pricey ingredients, meal time is great place to start organizing and de-stressing. Not only does meal planning make preparing meals less of a puzzle, it can also save you time and money. 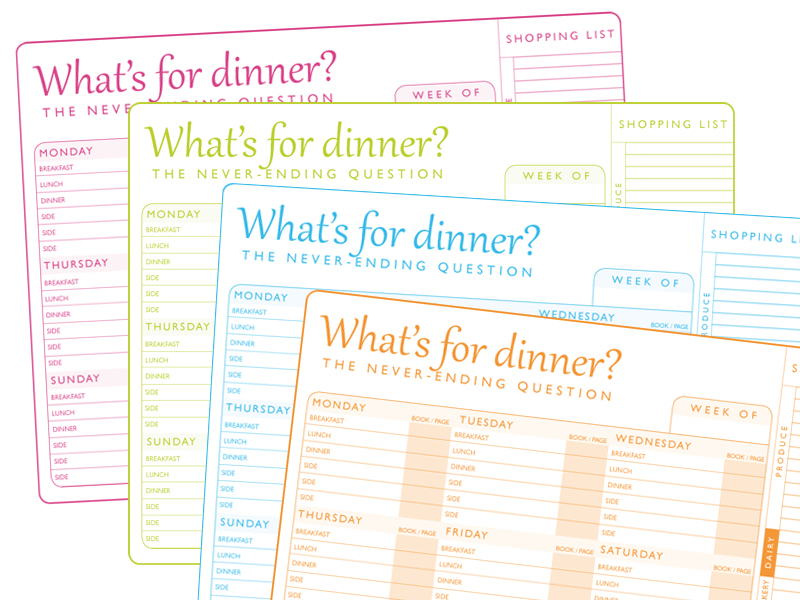 While the thought of planning out meals may seem overwhelming at first, the Sargent Choice Nutrition Center has a couple of documents to help you out, including a 1 + 2+ 3 Meal Planning Chart and a Healthy Shopping List, both of which can be found HERE. Those are just the basics. Once you decide on the essentials, find a recipe, or make your own, to incorporate flavor into the dish. A great, healthy way to boost taste is by adding spices. 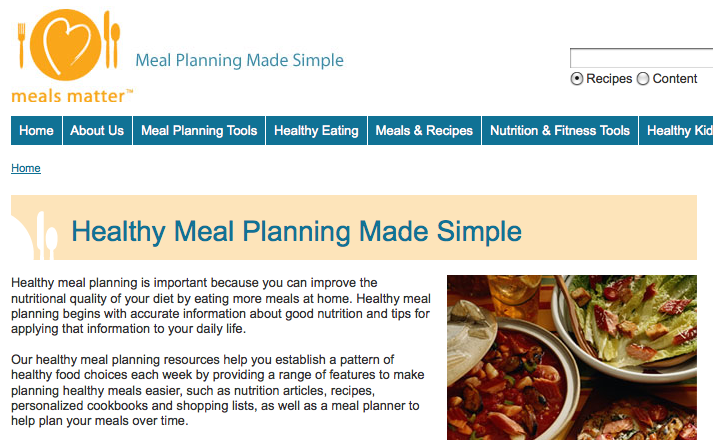 Another great resource for planning meals is MealsMatter.org. The website is jam-packed with meal planning tools like My Meal Planner, My Shopping List, and My Cookbook. What’s even better is the website’s goal is to help people plan nutritious meals that are completely customizable based on taste, cost, convenience and nutritional value. Oh, and did I mention it is completely free? Go check it out now! Give yourself a break. Don’t beat yourself up if you don’t accomplish everything you wanted to that day. Instead, focus on what you did accomplish and let yourself have an hour or two just relaxing and not worrying. Trust me, sometimes that off time is more productive than pushing yourself beyond exhaustion. Have any de-stressing or organizing tips that work well for you? We’d love to hear them! Leave us a comment below! Planning with some degree of flexibility is needed if one is to avoid stress. 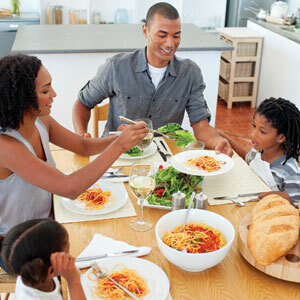 It would be very nice to eat the delicious recipes with our family that we love. Thank you for sharing.